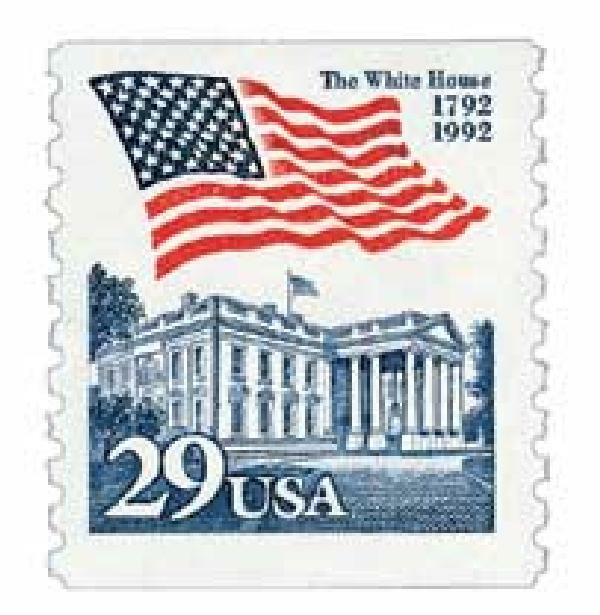 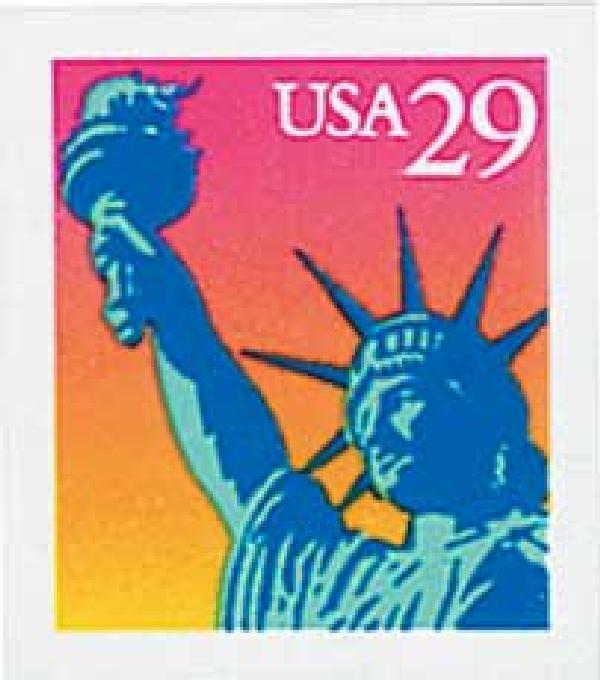 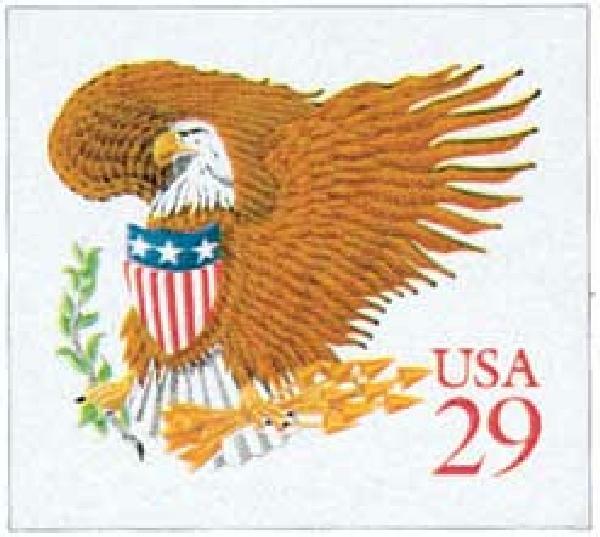 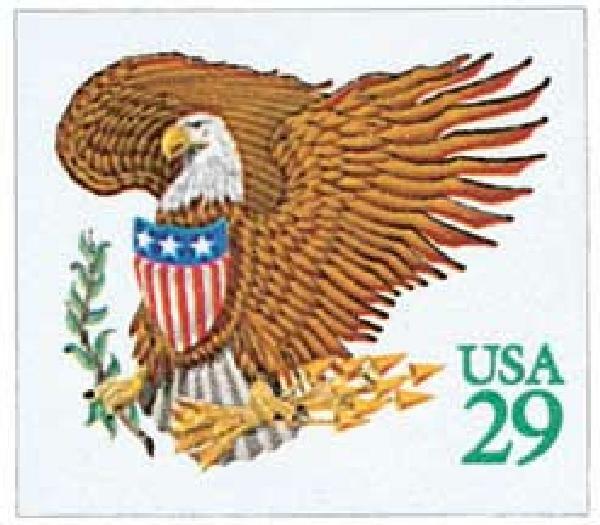 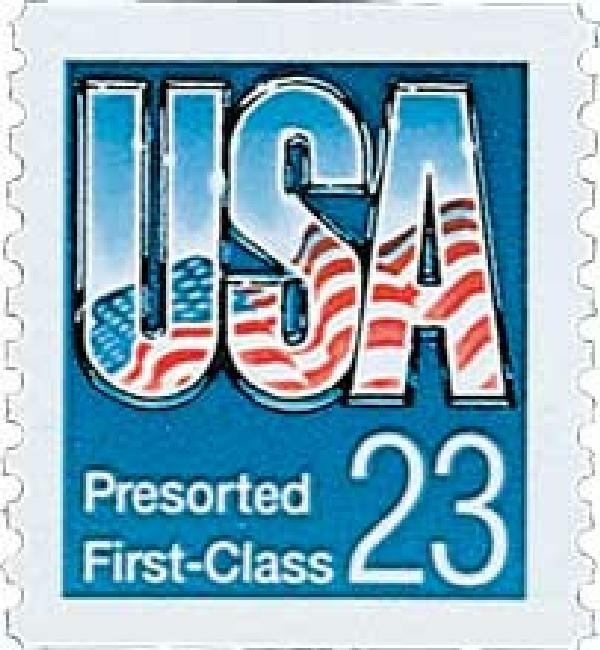 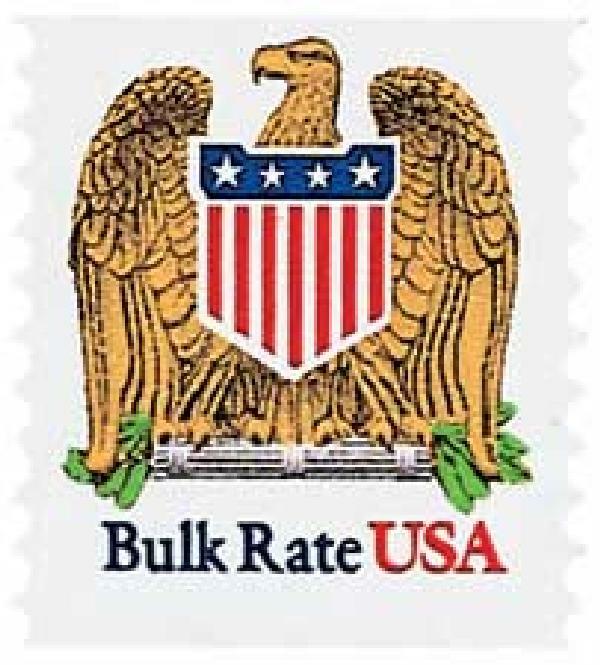 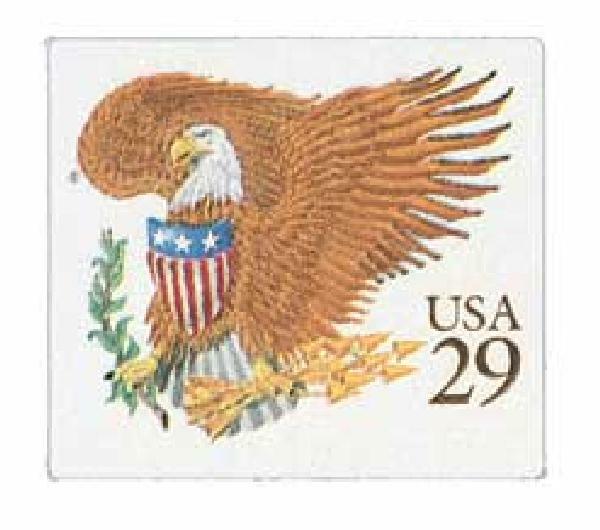 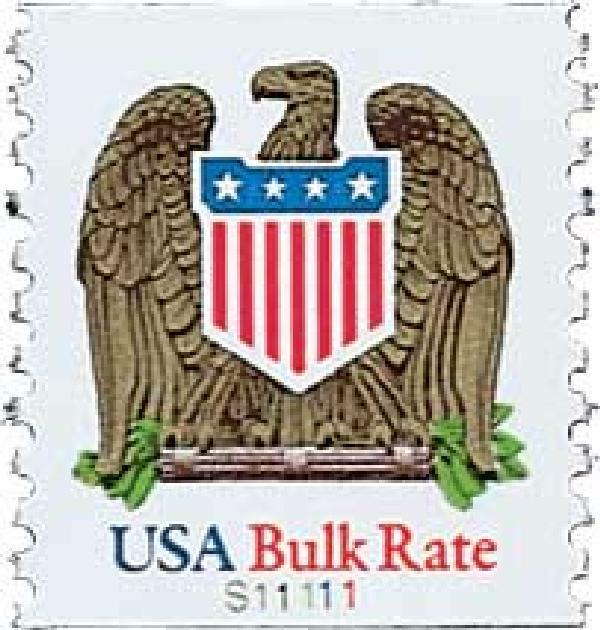 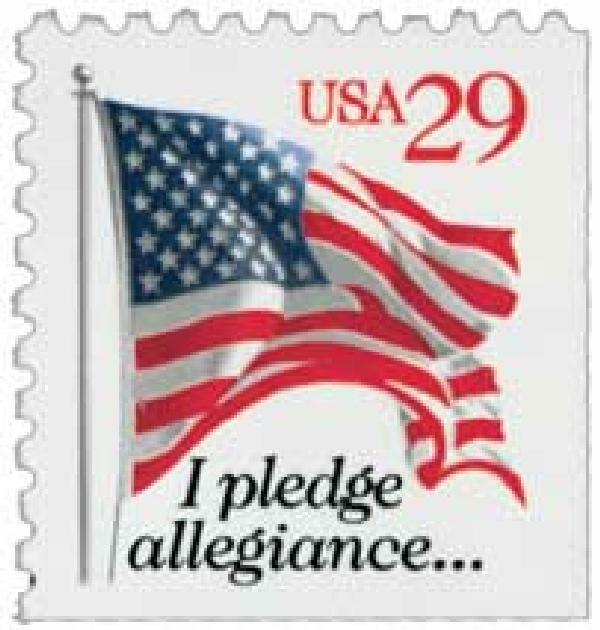 The Postal Service continued its pressure-sensitive program in 1992 with the 29¢ Eagle and Shield panes. 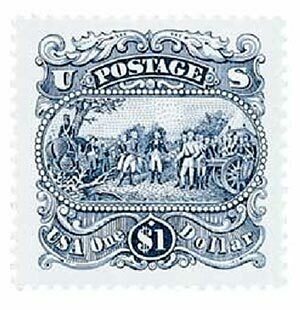 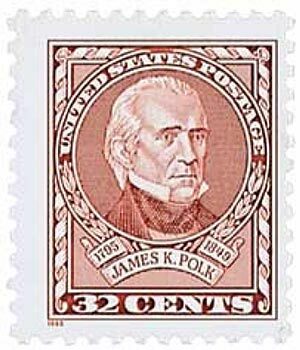 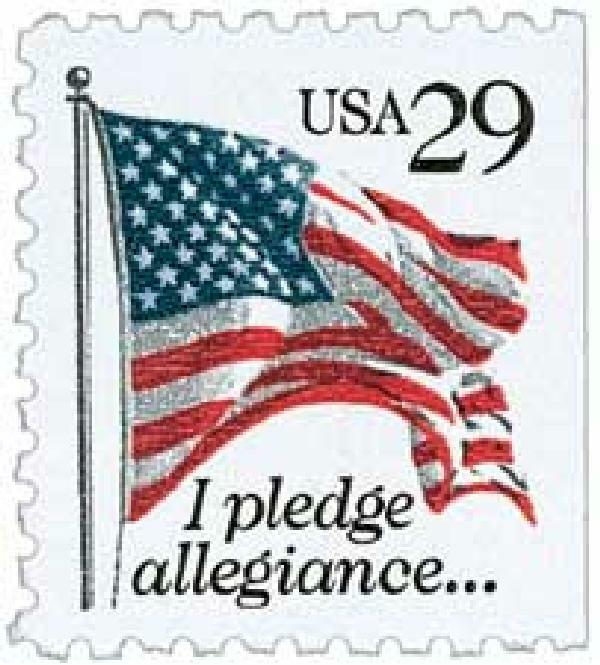 Customers who purchased the seventeen 29¢ stamps for $5.00 paid a 7-cent surcharge for the convenience of having no-tear, no-lick, self-stick stamps. 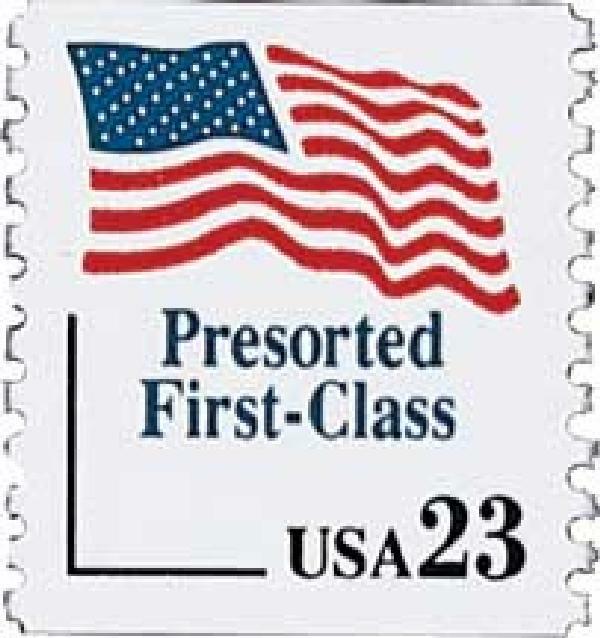 A survey showed that a significant number of customers were willing to pay the extra surcharge for the deluxe, self-adhesive issues. 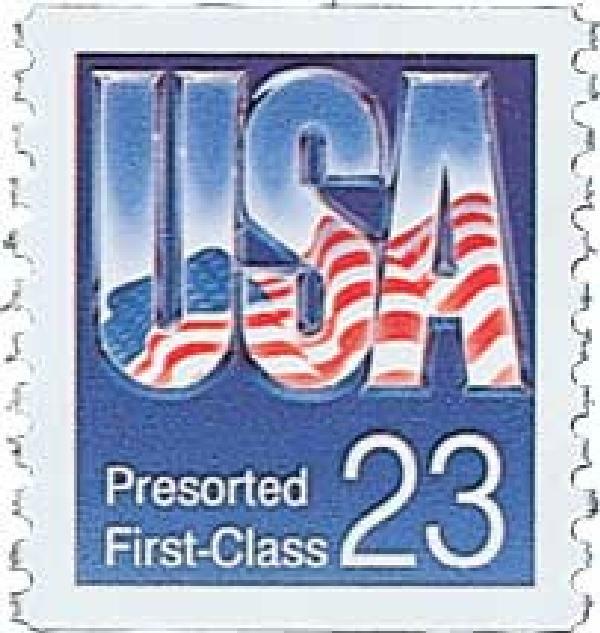 To insure that the USPS was supplied with a top-quality product, three manufacturers were chosen: Dittler Brothers, Stamp Venturers, and Bank Note Corporation. 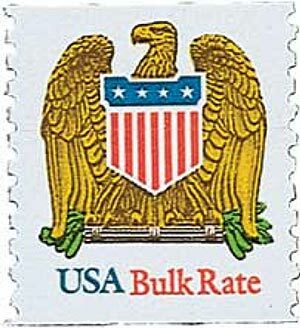 Each company could be identified by the color of the denomination and "USA"; Dittler Brothers, green; Stamp Venturers, red; and Bank Note Corporation, brown.